We have a fantastic container storage site that opened in January 2018 in Hessay, York. 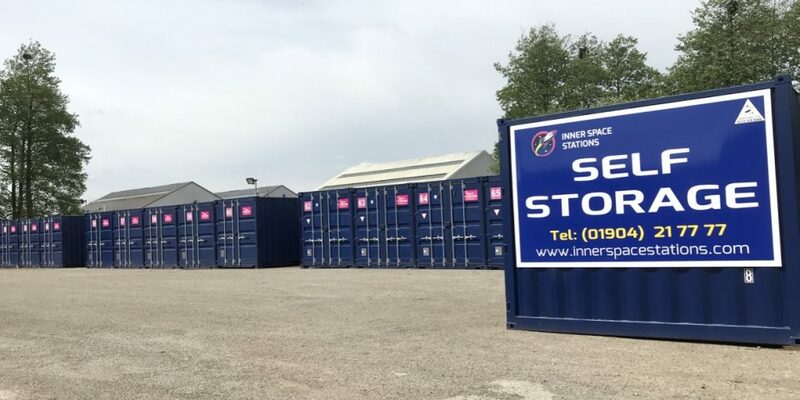 With a range of small, medium and large containers available, we can provide you with secure and flexible storage for all your needs. WHEN CAN I MOVE IN? NOW. Reserve your unit today. ARE MY BELONGINGS SECURE? OF COURSE – with 24 hour CCTV and secure gated access, your belongings will be stored safely and securely. DO I NEED A PADLOCK? YOU CAN USE OURS! To make sure your belongings are secure, we require you use one of our high security, industrial padlocks which will give to you FREE when you move in. WHEN CAN I ACCESS MY UNIT? 6am – 6pm 7 days a week. If you would like access outside of these hours, we can arrange this for you at a small fee.